1st class FREE , $110/ month for unlimited classes. 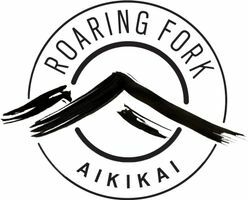 Roaring Fork Aikikai's adults and teens aikido program is designed to respond to the needs of adults and teens ages 14 and up. Men and women of all skill levels and physical ability are welcome. Those who want powerful self defense training and intensive physical conditioning will be matched with senior instructors and aikidoka who will take them to their edge. Others who want a gentler focus on the spiritual and mental aspects of aikido are equally welcome, and our professional teaching staff will carefully ensure their safety and enjoyment. Students of all ranks and experience levels train together, allowing for rapid transfer of skills and experience among students. Beginners receive one-to-one personal instruction from senior students or instructors for as long as needed.